Award recipients demonstrate exceptional leadership and service to the university and the community and support the leadership development and engagement of WSU students. Recipients were selected through a nomination process open to all WSU campuses. Award categories include undergraduates, graduates, faculty and staff, student groups and community organizations. 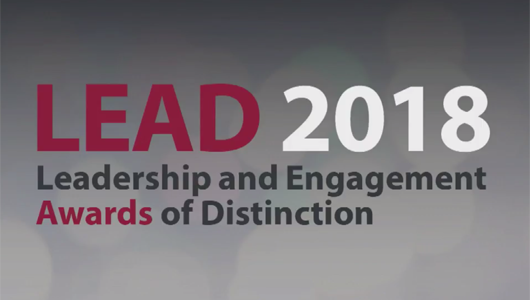 Overall, the Leadership and Engagement Awards of Distinction (LEAD) ceremony honored 48 individuals and seven student groups for their outstanding contributions to the University community.